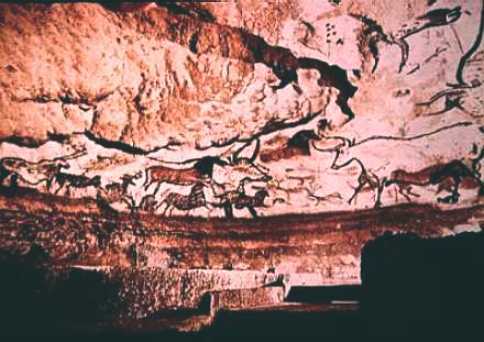 Lascaux, France, early period, 15,000-13,500 B.C. The First Human Creations dealt with hunting and being hunted, with birth, life, and death, with existence, extinction, and the afterlife. These images from the Ice Age were probably symbols standing for the processes of life. Their placement deep in underground caves suggest sanctuaries where religious rituals and ceremonies were performed. The earliest images of women in prehistory such as the Venus of Willendorf were probably made as fertility figures. 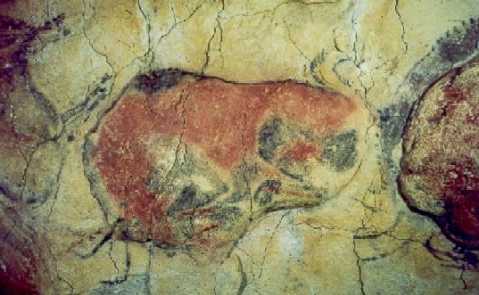 Altamira Caves, Santander, Spain c. 14,000 - 12,000 B.C. La Madeleine, France, 20,000 - 12,000 B.C.